What's included in the ready-to-operate AC-ROV system? 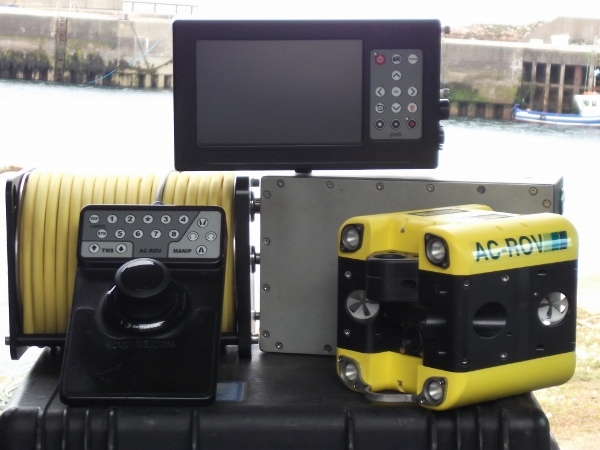 AC-ROV, surface control unit, intuitive 3D hand controller, monitor and stand options, tether cable (to 120m), tether deployment system, tool kit, strom case, manual and online support. What's the AC-ROV's depth rating? How portable is the system? 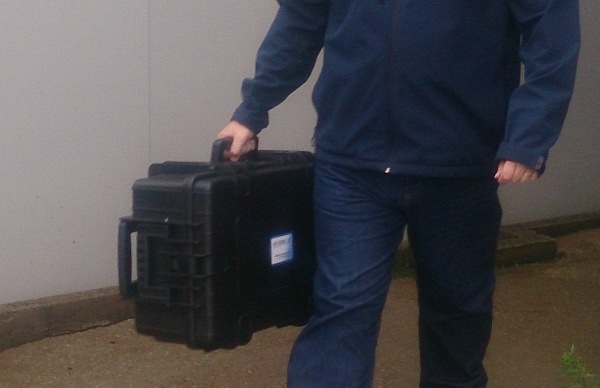 The standard system fits into just one case measuring 610mm x 265mm x 430mm. This is within the size limitation approved by major airlines for hand baggage. The total weight is 18kg. Is a Lap Top or PC required for the system to work? Video recording direct to the computer hard drive (video grabber and software required - available from AC-CESS). Send your video image to a third party or put it live on-line (internet connection required). 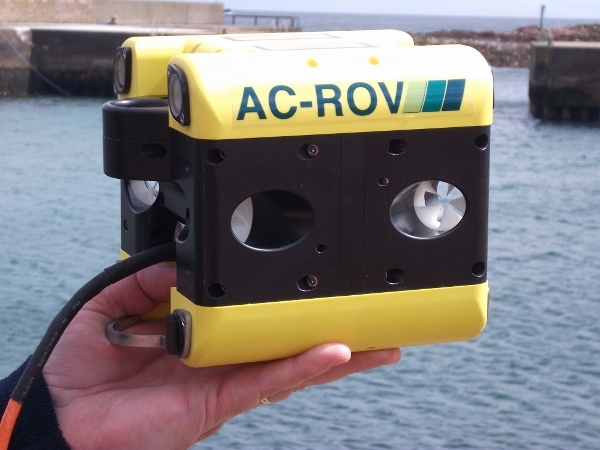 Do AC-CESS provide Lap Tops or PC's with the AC-ROV? NO – but they are happy to advise on how to achieve the benefits of interfacing a Lap Top or PC to the AC-ROV system. What are the options for video recording? Record to the hard drive on a Lap Top or DVR. Video editing software will permit the further manipulation of the video data for storage or out-put to disc, email or the web. Record to any analogue or digital video tape recorder. A "Video 2" coax connector on the topside control box is paralleled with the system video output and incorporates the same video overlay information. What does "Fly Through" mean? With the tether connected to the rear of the AC-ROV there is clearance for it to "Fly Through" a hole, or along a pipe 190mm diameter. With the tether connected to the top of the AC-ROV there is clearance for it to "Drop Through" a hole, or down a pipe 210mm diameter. Is the system electrically safe? Yes – provided the supply is via a circuit breaker (RCB). The voltage through the tether and at the ROV is a maximum 40 vdc. The system is CE Marked and certified for all "feet wet" applications, offshore, onshore and down pipes. The topside control box automatically adjusts for a supply within the following limits; 90 – 260vac single phase, 50 – 60Hz input, 300 watt full load. The supply can be from the mains, a portable generator or inverter and batteries. Obviously the generator and battery options will have operating time limitations. How does the AC-ROV perform in current? 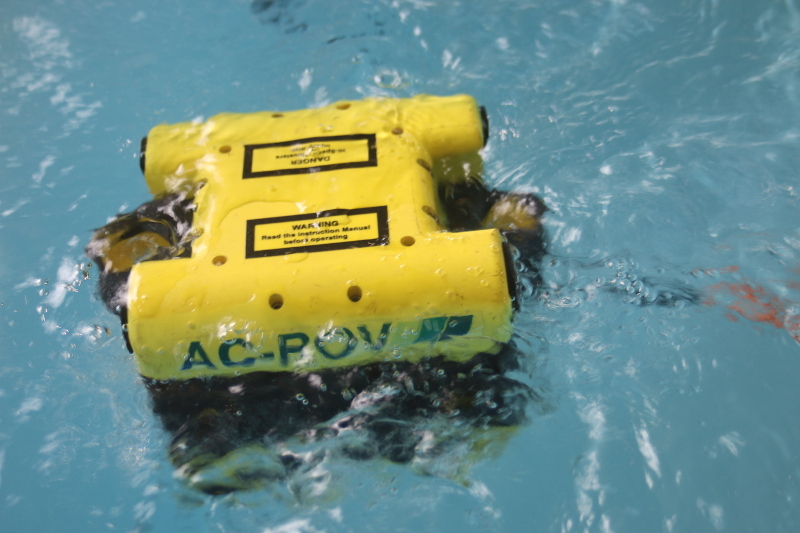 The AC-ROV has the highest power to size ratio of any submersible in its class. Combined with full bore, unrestricted flow through the multiple thrusters means that it also has an enviable power to thrust ratio. All ROVs suffer from tether drag. It affects flight control and the ability to reach a target and is more noticeable with smaller ROVs. Simple dive planning can help this to work for you. Sometimes fixing a weight a distance behind the ROV to take some of the strain works well. More sophisticated still are Tether Management Systems. An ROV manufacturer that works closely with customers and operators will be able to help. How does the AC-ROV perform in poor visibility? The colour camera is specifically designed and manufactured for low light underwater applications and is approximatel 10 times more light sensative than the diver eye. The rear view black and white camera option is a further 10 times more light sensative. How does the AC-ROV perform in weed type environments? The unique AC-ROV thrusters do not have central shafts and the inward pointing blades do not meet. Apart from being very resistant to fouling, they provide full bore equal thrust in both directions. This is not the case for shaft mounted thrusters which normally have a motor right in the middle of the flow path and a shaft just waiting to foul up. Drive life is in excess of 300 hours dive time at maximum depth and full power. Typical operations would be at quarter power, with full power only being used to get to a target at some considerable distance from the deployment site. Servicing requirements vary according to the environment the ACROV is exposed to. Fresh water use requires very little routine servicing, while salt water use requires a specific clean down procedure. A full user service is recommended at 200 hours. This level of servicing is designed to be to be within the capability of most owners but AC-CESS can arrange professional servicing as required.